The number of Christians persecuted for their faith globally has risen by more than 13 per cent, an anti-persecution charity has found. Global charity, Open Doors International, today (16 January) released its “2019 World Watch List”, an annual league table ranking the 50 countries where Christians face the most extreme persecution. Open Doors estimates that 245 million Christians worldwide face high levels of persecution in 73 countries this year, up from 215 million last year in 58 countries the previous year. These figures equate to 1 in 9 Christians globally experiencing high levels of persecution, last year it was the equivalent of 1 in 12. The list shows China to have risen from number 43 on last year’s list to 27 in 2019. “In China, our figures indicate persecution is the worst it’s been in more than a decade – alarmingly, some church leaders are saying it’s the worst since the Cultural Revolution ended in 1976,” Blythe said. 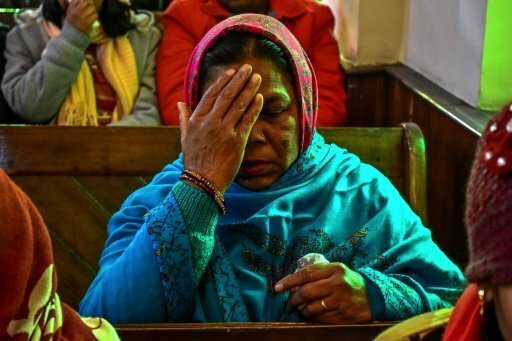 The report found that one in three Christians face high levels of persecution in Asia, while India entered the World Watch List top 10 for the first time. Open Doors said that growing ultra-nationalism has brought waves of violence against India’s significant non-Hindu religious minorities. Persecution in North Korea is worse than any other country in the world and has been for the last 18 years, the report found. Five years ago only North Korea was in the extreme category for the level of persecution suffered by Christians there. This year Christians in the top 11 countries on the World Watch List suffer extreme persecution. These are: North Korea, Afghanistan, Somalia, Libya, Pakistan, Sudan, Eritrea, Yemen, Iran, India and Syria. Of the 4,136 deaths for Christian faith that the List reports, Nigeria accounts for about 90 per cent of these (3,731). The publication of the annual league table comes just weeks after Jeremy Hunt, the UK foreign secretary, said the UK “must do more” to help persecuted Christians and ordered an independent review to assess if the British Government is doing enough.